The Canadian website for Best Buy has revealed an interesting development. 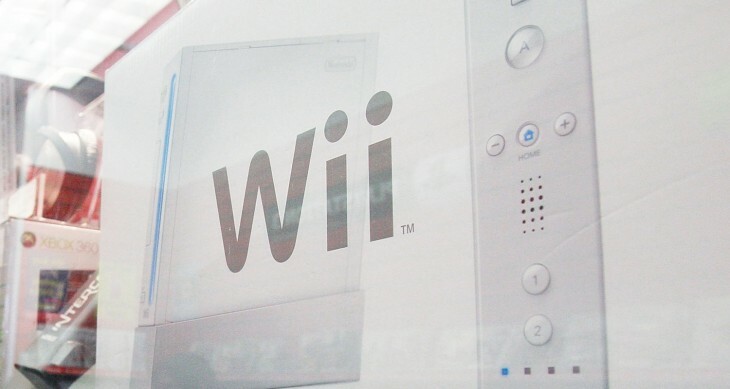 The Wii Mini console has arrived on its site for pre-order, with a release date of December 7. (This has now been confirmed by Nintendo – see the update below). As you might expect, the console is a smaller version of the original Wii and comes at a smaller price point to match. The image shows the unit in a sleek-looking red and black. It’s interesting to see the arrival of the mini console in time for Christmas. Nintendo has been pushing the Wii U hard in the the United States and so the smaller console might help to take a larger bite of the seasonal market. Although with some consumers apparently still confused by the dual-screen way of working with the Wii U, so it makes sense to back up sales with something more familiar. Nintendo has confirmed the red and black Wii Mini does indeed exist with a presence on its own Canadian site. The little unit goes on sale on December 7 for $99.99 suggested retail price. The Wii mini console does not connect to the Internet and does not support online features in games. Compatible with Wii software and accessories. Internet connectivity features are not available. The Wii mini console is not compatible with Nintendo GameCube Game Discs or accessories. So less money, but possibly less fun if you cannot play against your friends online. But it does at least open up physical gaming at a lower price point for more people and that is still likely to please parents in the run up to Christmas – in Canada. For your money, you’ll get the console, a Wii Remote Plus controller, Nunchuck controller and the usual sensor bar and power adaptors. You won’t get an HDTV component cable though. There’s no news yet as to when this might be available internationally, but for now, Canadians can look forward to a festively dressed mini console to add to their Christmas wish list.